With August on the horizon, and kids gearing up for their fall teams – like soccer and football—knee injuries are imminent. Patella (or kneecap) injuries are second only to ACL tears when it comes to a traumatic knee injury. The patella can easily dislocate, or pop out of place, as the result of a collision or quick cutting and pivoting playing sports. A patella dislocation is often accompanied by intense pain as well as instability of the knee and leg. Sometimes it can be put back into place by a skilled coach or athletic trainer onsite. Otherwise, a trip to the Texas Orthopedics Urgent Injury Clinic, might be necessary. Wear a stabilizing brace, sleeve, and/or use crutches as long as directed by a physician. Follow the RICE protocol for recovery (rest, ice, compression, elevation) for several weeks. Take anti-inflammatory and also pain medication as prescribed. Modify all activity until given clearance to return to sports once range of motion and strength have been evaluated. 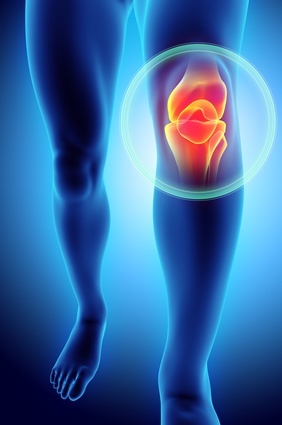 Allowing sufficient time for the injury to heal is necessary to avoid a recurrence, as a second patella injury often does require surgical treatment to restore stability. Conditioning several weeks out before the start of a new sports season, and warming up properly before each game, can keep the knee in good shape and help to avoid injury. Wearing protective gear such as knee pads can also be beneficial. If you have questions or concerns about a patella injury, please contact us for an appointment with one of our specialists. Is there such thing as too much spinning? You wouldn’t think so, as spin classes (high intensity workouts performed while on a stationary bike) are all the rage these days for the great cardio and muscle-toning benefits. But you can actually go at it too hard -- putting yourself at risk for serious injury—as reported with several cases highlighted in a recent issue of The American Journal of Medicine. 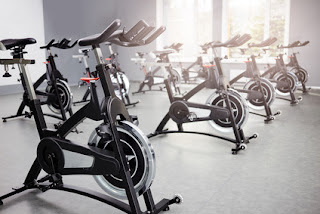 It covers several instances of women who experienced life-threatening rhabdomyolysis as a result of overworked muscles from the intense cycling common in spin classes. Rhabdomyolysis, or rhabdo, occurs from extreme exercise when strained muscles begin to die and leak toxic contents into the bloodstream, paralyzing the kidneys while causing sickness and severe pain. The article documented 46 cases of spinning-related rhabdo, with 42 of the cases happening after taking a first-ever spin class. Rhabdo traditionally had only ever been reported in soldiers, and others like firefighters who have extremely physically demanding jobs. When starting a new workout, do a less intense version of it first, then slowly progress to a more moderate or advanced level. Know your limits, and take frequent breaks during workouts until you get more familiar with the pace. If taking a guided class, let your instructor know that it’s your first time. Also check with your physician first before starting a new workout or exercise program if you suffer from a chronic condition like arthritis, or have had a recent and serious injury. 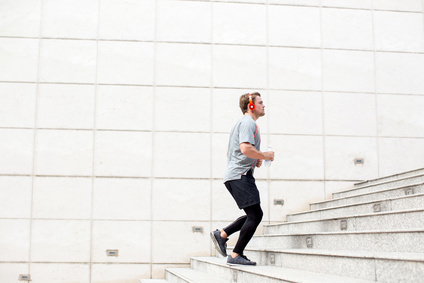 At Texas Orthopedics, we strongly encourage some form of regular exercise for all of our patients, but it’s also important to remember to listen to your body and not push it to extremes. If you experience any constant or severe pain after any type of workout, please contact us for an appointment. 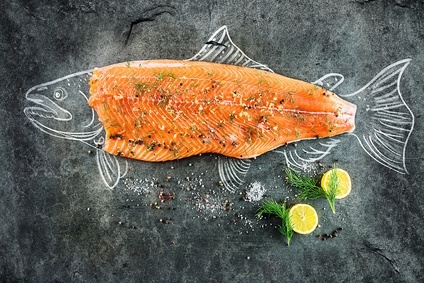 Could eating more fish be the answer to cure aches and pains associated with arthritis? New research shows consuming fish can help reduce the pain and swelling associated with rheumatoid arthritis, or RA. RA is a serious inflammatory condition that attacks the joints. This new research, published in Arthritis Care & Research, studied 176 people and the kinds of food they ate regularly, specifically fish. They divided them into four separate groups depending on the frequency they had fish-- from less than one serving a month to more than two servings per week. Participants were then asked to rate the severity of their symptoms-- achiness, swelling, tightness/stiffness--with a disease activity score. Results showed that the average disease activity score declined with each participant who increased their fish intake. The high concentration of omega-3 fatty acids found in fish has proven to alleviate symptoms of a number of medical conditions, and now RA may be one of them. At Texas Orthopedics, we encourage a healthy diet and exercise as a first line of defense in treating RA, so if you fancy fish, then eat up! The U.S.D.A. (U.S. Department of Agriculture) recommends at least two servings of seafood weekly for adults. Some of the most healthful options to consider are salmon, cod, herring, mackerel, trout, sardines, and oysters. If you suffer from RA, and have questions about your condition, please contact us for an appointment. Ouch! You broke your arm or leg, or you have a serious fracture, and now you’re bound up by a cast, sling, splint or all of the above. Comfort can be evasive when movement is restricted like this, especially when you’re trying to catch some ZZZ’s. Situating yourself comfortably to fall asleep can be a challenge. To add to it, you’ll typically get specific instructions from your doctor on keeping your injury elevated or in certain positions. Take your pain medication as directed, and allow sufficient time for it to take effect just before you are ready for sleep. Invest in a specialized pillow, like a body pillow, for elevation—keeping the broken bone above your heart prevents blood from pooling and causing swelling. Try sleeping on your back first while propped up on a few pillows. If that doesn’t work, slowly adjust yourself to a side position if possible. Sleep in the middle of the bed to prevent any chance of falling off in the middle of the night. Leave a dim light on somewhere in or just outside your bedroom to help find your way if you need to get up. A heavy cast and sling can create extra body heat, so dress in light layers of cool, loose-fitting sleepwear. Encourage children, small pets, and even your partner to sleep in another room at least for the first few nights you are home with an injury until you figure out to how best achieve your own comfort in bed—and to prevent causing possible harm by accidentally knocking into them with your hard cast while they sleep. If your bed does not prove to be comfy, try relocating to a sofa, chaise lounge, or reclining chair in another room. Finally, remember that rest is a key component for healing and recovery. If you can’t sleep for long stretches at night, make sure to get in a few naps throughout the day where you are off your feet and in an elevated position. 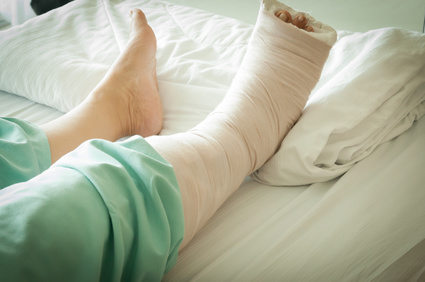 If you have concerns about sleeping with your cast or other stabilizing medical gear, please contact us. Our Urgent Injury Clinic is here to help as well with same day and after-hour appointments! If you’re living with ankylosing spondylitis (AS), you are already aware of the debilitating back pain associated with the inflammatory condition. It affects the ligaments, joints, and tendons attached to the spine and can lead to serious problems with vertebrae and even full-blown arthritis. It is a condition we see often here at Texas Orthopedics. Fortunately, there are easy, medication-free ways to treat the pain — namely, a commitment to exercising regularly. Regular exercise keeps joints lubricated and muscles flexible so that inflammation is kept to minimum. Standing posture pose: stand with feet hip-width apart and stiffen/straighten your spine so you are standing tall and hold it, then release to a slouched/relaxed position. Repeat several times. Lying posture pose: perform this on a firm surface (like the floor) by lying face-down, then lift up your chest and head and swivel slightly to one side, hold it, then swivel to the other side. Perform this cycle up to ten times, rest and lay flat, and then repeat. Swimming: swimming laps, or water aerobics of any kind, are an excellent way to promote flexibility along the spine, and decrease tension in the neck and shoulders. The water also acts as a cushioning environment during movement so there is less impact on joints. Deep breathing: repeated deep breathing in and exhaling out keeps your rib cage flexible, which lessens pressure on the back. Find a few minutes each day to take in up to 20 deep breaths at a time, as big as you can hold, then exhale for a calming stretch throughout your chest. Yoga: the gentle stretching and releasing of poses in yoga is great for the spine. Make sure to practice poses that are not too difficult for you, and if anything causes a strain or pain, take a break immediately. If you suspect that you are suffering from AS, and would like to discuss treatment options with one of our specialists, please contact us for an appointment. New research shows that a long walk, especially outdoors in nature, benefits both your body and brain. Walking outside has long been proven to better your mood and reduce anxiety. 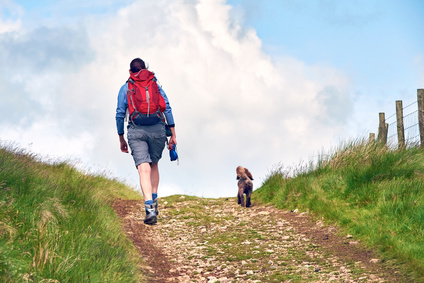 Scientists in Austria set out to discover if the benefits of walking outside (or actively engaging in something pleasurable over a long period of time) could rival those produced during a more intense workout in the gym. The study conducted by the University of Innsbruck in Austria evaluated 40 men and women who were asked to complete a series of gym workouts along with long mountain hikes outside. Being outside compared with inside a gym led to a mental boost for nearly all participants. Participants were willing to walk farther and at a brisker pace (thereby leading to an increased heart rate and more cardiovascular benefits) than originally directed because they were enjoying themselves. When exercising in the gym, there were more concerns with time constraints and questions about how long until the assigned workout would be over. Almost all participants reported that the gym workout was more strenuous than the mountain hike, although in actuality, the hike was more demanding on the body because of the terrain incline and high altitude. But because it was more enjoyable, it was perceived as easier. Bottom line? There is great benefit, both mentally and physically, in doing something that you love for exercise. If you love the gym, that's great, but if walking is more your speed, then keep it up! And getting outside in the fresh air and nature for a few minutes each day can be a boost for everyone. Several of Texas Orthopedics’ awesome physicians have been recognized as Texas Monthly Super Doctors Rising Stars for 2017. These are providers who have excelled early in their career and are “trusted and sought out by colleagues for medical care and advice,” according to the selection criteria. Super Doctors is a national group that honors physicians from more than 40 medical specialties who have received outstanding peer recognition or professional achievement. We are so proud of all of our staff at Texas Orthopedics, and are grateful for the medical community’s recognition bestowed upon our exceptional doctors.